With rich industry experience and knowledge, we are engaged in offering a wide range of 5 HP Oil Hydraulic Press. The offered product is use to fulfill all small-to-medium requirements of various industries. The offered product is manufactured by our team of adroit professionals using high grade raw materials and latest technology in compliance with international standards. Available in various technical specifications, we offer the entire range in customized options to fulfill the requirements of our esteemed clients. 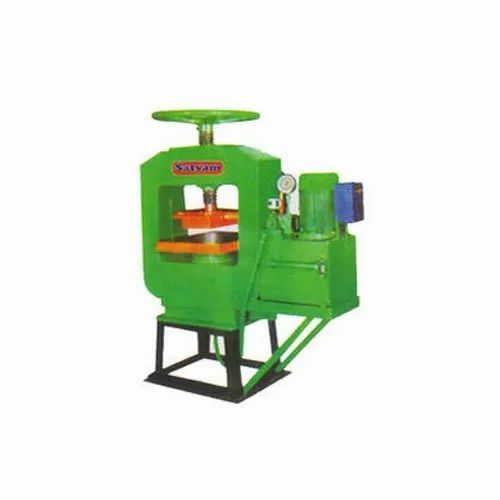 Established as Sole Proprietorship firm in the year 1997 at Morbi (Gujarat, India), we “Satyam Machine Tools” are a renowned Manufacturer of premium quality range of Block Machines, Hydraulic Press Machines, Mixing Machines, etc. We provide these products at reasonable prices and deliver these within the assured time-frame. These products are widely demanded by for their immaculate finish and high tensile strength. In addition to this, we are also involved in offering best-in-class Machine Repair and Job Works to our esteemed clients. Under the headship of “Mr. Chiman K. Hadiyal", we have achieved a noteworthy position in the market.